"On occasion we have attempted to fill vacancies for some hard-to-fill positions. Direct Labor has assisted our company in recruiting for those positions by bringing qualified applicants to us." 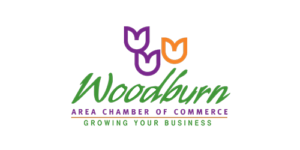 "I would recommend Direct Labor and their Woodburn office staff to any other employer looking for help with their temporary labor force and other recruitment needs." "For the last 3 years Direct Labor's Woodburn office has been providing our Canby nursery with crews for winter lifting and spring and fall transplanting. I have worked with a number of different labor contractors, and have found Direct Labor to be most reliable to work with. Molly Drew seems to know each of her people personally and has a good feel for selecting the right people. When someone quits, she has a replacement the next day, so I can always count on having a crew ready to work. In addition, I have found Molly and her staff a real pleasure to work with, always ready to adjust to change with enthusiasm. I would recommend anyone with contract labor needs to give Direct Labor a try." "Direct Labor has been providing service to Sycamore Lane Nursery for almost a year. I like to take this opportunity to thank them for their great service. We are very happy to have them as part of our labor force." 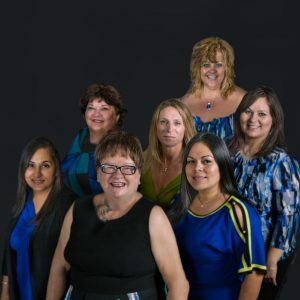 "You have consistently exceeded our expectations whenever we call you with our staffing needs; your recording keeping and invoicing systems are accurate, well managed, and convenient; and you and your staff are extremely pleasant to work with. I would highly recommend anyone looking for a staffing agency to give you an opportunity to show them what you can do." "The staff in your local office have always been very friendly, polite, and eager to help us whenever we have called. They have done a great job in selecting qualified and dependable employees to meet our temporary workforce needs, sometimes with short notice." "When we find a candidate that we would like to hire on a trial basis, we send them to Direct Labor, where they register as a temporary worker...This way there is no commitment for our company to hire a new worker until we feel comfortable in doing so... We feel this is an excellent tool for other businesses to use to make sure you are hiring the right person for the right job...This system allows for a lot less paperwork, less cost and fewer headaches to ensure you are hiring the best candidate."